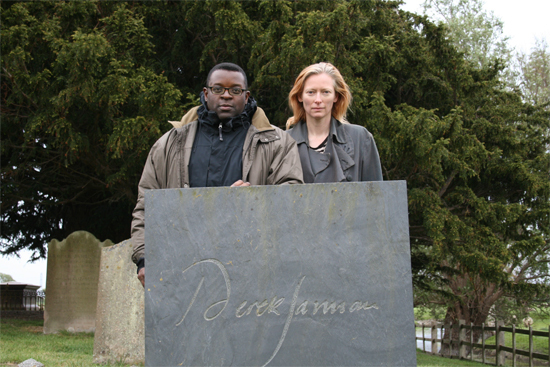 To see Derek – Tilda Swinton’s film about Derek Jarman. Very good, documentary. Visually powerful and fascinating. Wonderful use of archive film (including what looks like private footage) and very well intercut with interviews Jarman gave and with Tilda Swinton’s own words. 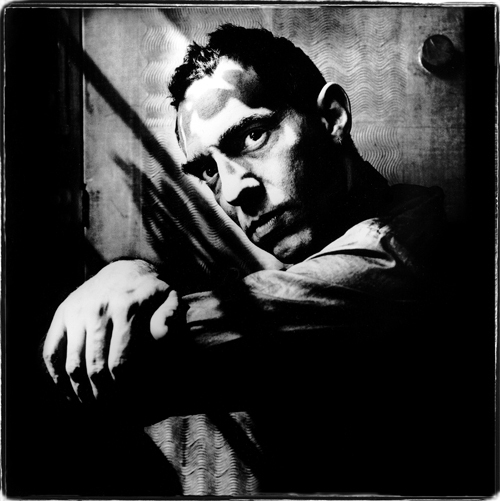 A sad film because it commemorates a rich, interesting, creative life cut short by HIV/AIDS. Sad also because Swinton clearly feels she’s lost a friend. Also an angry film (in places): Jarman’s anger and Swinton’s. When you see Jarman’s work and his life in this film, you realise the abyss between your own medocrity and creative genius. And yet: Jarman thought of himself as a mediocre painter when he went up to the Slade and as a middle-aged has-been at the time of punk. Tilda Swinton is dismissive of film-makers who turn to making commercials – but Derek includes footage of Jarman’s music video of the Pet Shop Boys’ It’s a Sin, and Jarman saying this was his best work and that Neil Tennant (PSB singer/songwriter) “really saved me”. (By bringing him to a wider public notice? By giving him payed work?) What’s a music video if it’s not a commercial for the featured band/song? The film was Tilda Swinton’s in the sense she is often in frame, her voice is used in the voice-overs, and she is reading her own words. But the director is Isaac Julian, conceptual artist and film maker. He also appears in a few frames, notably in the archive looking through Jarman’s boxes. Tilda Swinton’s poetry: The audience in a cinema, something like: we lean in from reality dipping into this virtual world, and then back again. No, I’ve lost the actual phrase, but it was a striking image. T.S. warns against taking film (any film – this film?) at face value. Good film, I’d watch it again. Revisited and revised for spelling and SEO fine-tuning. Broken link to movie homepage removed. IMDb link added. 12 Dec 2016.